The last few weeks have been treachorous to say the least. Stiff winds and cloudy days have made for diffucult conditions. Presenting the fly has been difficult for a few of my last charters!. If you golf in South Texas than you can imagine trying to put a shot just where you need it when it is blowing steady twenty-five miles-per-hour. Finding clear water is not normally a problem in our bay but the combination of strong winds and a moving tide have really been murking up the water, but I managed to find fish on grassy flats and east side banks normally fished during summer months. If these winds keep blowing like they have I may resort to the old tactic of stalking fish in ultra shallow flats. Getting off a perfectly good boat does not appeal to me very much any more (my Maverick HPX has spoiled me), but if that is what is going to take then so be it. The workload at my real job has picked up so the timing has actually worked out in my favor (it is always good to focus on our good fortune). Maybe I will be rewarded with better conditions and completed projects in the weeks to come! Don’t get me wrong, if a client or good fishing buddy calls me up tomorrow and says, “let’s hit the flats,” I will be waiting for them at the dock Anyone can fish in perfect conditions, but where is the sport in that? Take a look at the video titled: Windy Conditions of past trips that were shot under some pretty windy conditions. 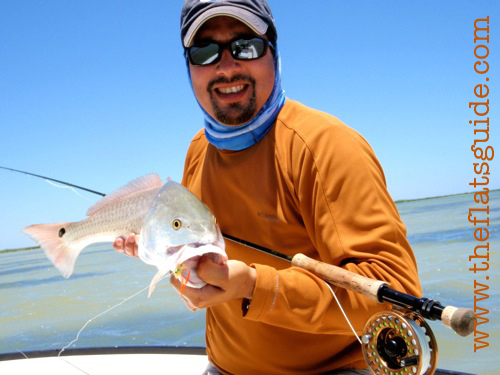 It is officially spring, and great fishing is just around the corner. 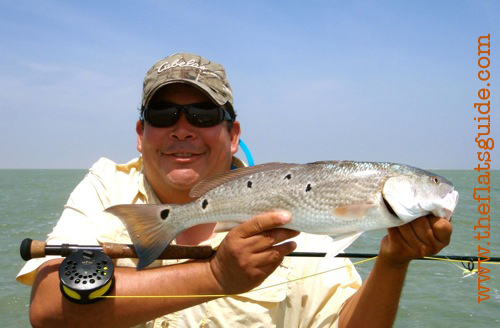 Thanks for that report – Captain Mark Becerra at www.theflatsguide.com.